The Boardroom is a conceptual meeting point for likeminded producers the world over to collaborate and exchange ideas - like Facebook for techno boffins I suppose. At least I think that's the gist of it. 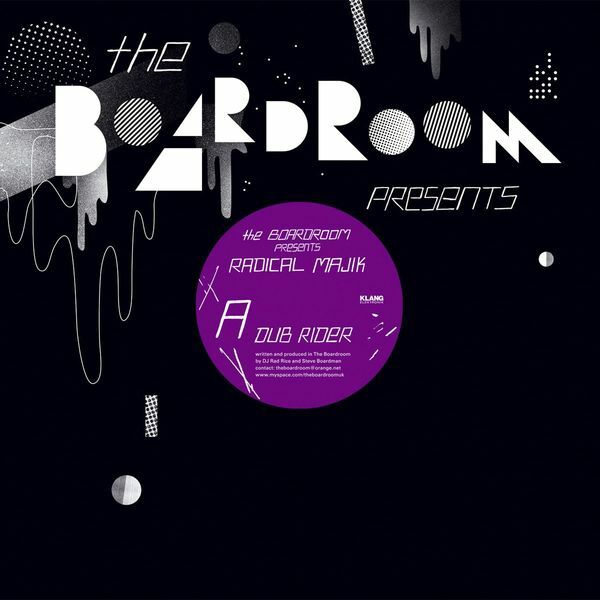 On this 12" DJ Rad Rice and Steve Boardman convene to fashion the moody micro-trancer 'Dub Rider' and its hefty bass-wilding cousin 'Filth In The Community' over on the other side.